Just on the south side of the Pearl River, along the poor man's river walk, Rendevous has been open not much more than a year. The food is excellent but its relatively low-pedestrian location means Rendezvous doesn’t get as much attention as it deserves. Obviously a few people have already discovered this elegant multi-storied restaurant, as when I arrived early, most of the larger tables were already reserved. Upon entering the restaurant, the cleanliness, wine rack and desert display are among the first things that catch your attention. A short examination of the restaurant will take you to a loft section and a rooftop area as well. The ambience is strongly European. Although the owners and the staff are not Vietnamese, Vietnamese dishes make up the larger part of the menu, including a few dishes that may be true fusions between French and Vietnamese. The staff's recommendation in the Vietnamese arena was the cold vermicelli, but others on the menu actually look more interesting than this. Their recommendations in the French arena were the pastas, steaks and deserts. I tried their pan fried chicken breast with mango almond sauce (probably a fusion), which was delicious, with good quality chicken, meaty potatoes, and some unrecognizable herbs adding to the rich aroma. Their desserts, like much of the menu, are divided between Vietnamese/Asian style and French/European. You can try their durian balls, rice cakes and fried bananas or choose to go for an enormous assortment of cakes and cheesecakes. I tried one of the latter and found it flavorful, and above-average for Guangzhou. They also serve up imported beef, pastas, salads and curries, along with seafood, including sole, bass, catfish, satay and crab. Although Rendezvous' look and focus on French cuisine might suggest higher prices, a large portion of their dishes actually range between 16 and 48 RMB, including some reasonably priced main courses. The American and Australian steaks are the highest priced, with some going up to 108 RMB. Getting there: Take bus 121 or 131, get off at Haizhuqiaodi bus stop and walk towards the bridge about 3 minutes. The restaurant will be on your left. Or you can take Metro Line 2, Haizhu Square Station, Exit A. Cross Haizhu bridge. 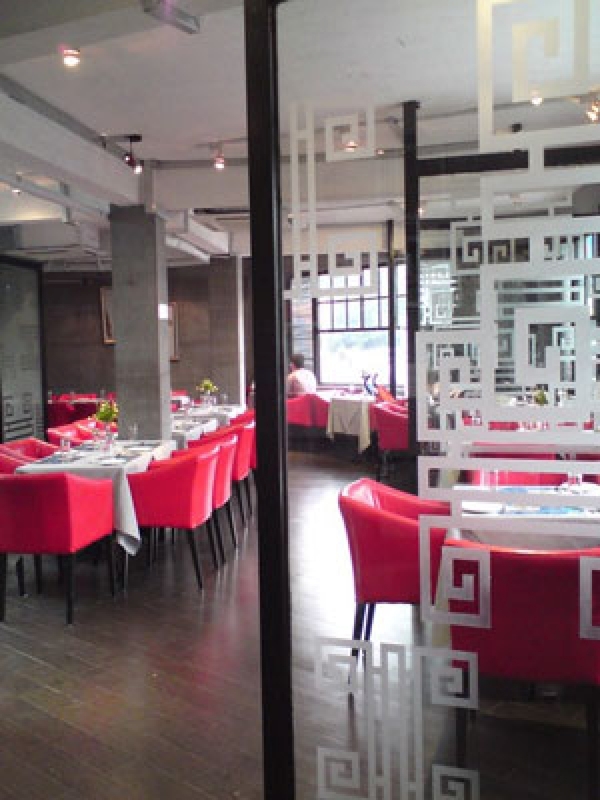 The restaurant is on the corner of Binjiang Zhong Lu and Jiangnan Dadaobei, just to your left crossing the bridge.